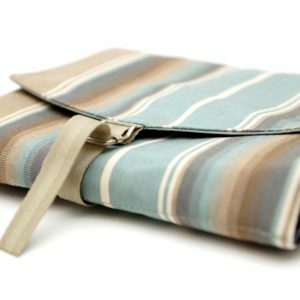 Flightline Travel is owned and operated by a frequent international traveler who, during her 17-year career at the U.S. Department of State, realized a need for a slim, well-designed travel tote made for use during flight. A tote designed to hold all of her travel essentials at her fingertips, eliminating the need to access under-the-seat or overhead storage. 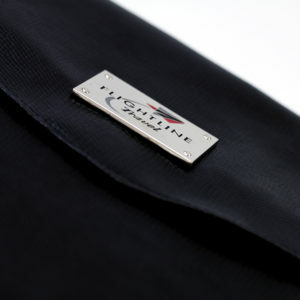 Flightline Travel LLC came to market in late 2017 and we are pleased to offer our Flightline Travel Totes to ensure a better flight experience for all. Our mission is to make your travel experience one of ease and luxury to encourage you to explore our world. We meet our mission by ensuring that all of your travel necessities (phone, passport, music and writing materials for moments of inspiration) are at your fingertips during your flight. With your necessities securely within reach during flight, you can rest, relax and enjoy your travel. We live in a big world: explore it, with luxury. Flightline Travel believes that there are few things more important in creating a life well lived than in experiencing the wonders of this beautiful world. To simply travel. Travel is the wonder in seeing famous sights for the first time, the joy of experiencing cultures, nature, tastes, and sounds that you never knew existed and creating moments that together make a life well lived. We care about our customers and encourage you to contact us with any questions, suggestions and thoughts on how our products can enhance your travel experience. We also want to see where in the world you take our products. From your Grandmother’s small town to the furthest corners of the earth– we love to see where our products have been and are touched that we can play a role in improving your travel experience. Safe travels! Proudly Made in the USA and imported versions available. We are located in historic Old Town Alexandria, VA. We strive to serve government and private business and leisure travelers in the DC area and throughout the world with quality products designed for frequent international travelers. Please note that our totes are specifically designed for long flights and may not fit in the seat back pockets of smaller airplanes on shorter commuter or regional flights.